This vintage cabinet knob is a memento that echo passion and romance of past times. The dappled paint finish of the body gives your home the period-inspired subtlety of the yesteryear. Bring the compelling mystery of the Victorian Age to your house by featuring this item in your personal environment. The knob is a superb choice for reviving antique pieces of furniture without losing their unique vintage tone. 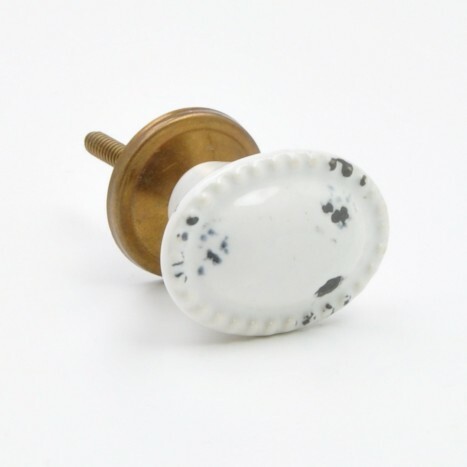 Tags: grey cabinet knob, old fashioned knobs, cream ceramic cupboard knobs, vintage style cupboard knobs, retro cupboard knobs, ceramic button knobs, retro ceramic knobs, ceramic wardrobe handle.